We make sure you get paid first and your renter feels great about it. We text with your renters to schedule payment. By default, we debit. Rent is direct-deposited to your account. View reports and texts online or in a daily email summary. If a payment fails, we don’t pass the cost to you. Positive and appreciative, collection schedule adjusted to meet both sides’ needs. Most renters will build credit; late payers will have additional incentive. Get your first tenant free. RentHelper sends an early reminder and invites early payment. RentHelper sends a final reminder and invites early payment. Renters have until 10am to text WAIT and reschedule. Otherwise, funds are debited by close of business. RentHelper uses fastest-possible same-day ACH for all transactions. No other service verifies funds faster. Over 200 bounced checks avoided across more than $1 million in collections since 2017. Renters can say anything and we will understand it: “Pay on Tuesday,” “I got a new phone number,” “I switched banks,” etc. On average we exchange 3 texts a month per renter. Some renters text 20 times or more. Most texts are routine and logged silently for you to review should you ever need to. We will only alert you to delays and other problems. We email you a report whenever there’s activity, making it easy to see who is up to date with their rent. RentHelper works as hard at collecting rent as a property manager for a fraction of the cost. With RentHelper, renters can save time and expense, remain in control of their accounts, and build credit. Renters no longer need to purchase money orders or visit the office. Renters can stop or reschedule a payment at any time, with owners kept in the loop on all delays. Best of all, payments are reported to TransUnion, which for most renters, will help them build credit. RentHelper increases renter communication and satisfaction. RentHelper costs just $6 for every $1,000 of rent we collect. No extra cost for partial payments. No charge for one-on-one concierge communications. We are renter relations done right. Your currently spend $41 per month to process rent. Cost of RentHelper: $36 per month. RentHelper will save you $9 per month. I like saving time & money. Let’s go! How does RentHelper collect the fee? We do not deduct it from your rent. Each tenant payment appears in your account in exactly the amount they paid. The aggregate service charge is calculated and auto-debited on the last business day of the month. You will receive an invoice for your records. My tenant doesn’t have a bank account. Unbanked tenants can still use RentHelper with debitable cash cards that they can purchase and load at various locations. For example, a renter can go to a convenience store and purchase a Netspend or GreenDot. They will call a number on the card to activate it. They will request their ACH and Routing number, and put that information on our renter enrollment form. To pay rent, they need to load that card at any convenience store that loads cash cards. This works even if they are banned from opening new checking accounts due to prior bad banking experience. Contact us and we’ll walk your renters through the process. My tenant can’t sign up online. That’s fine, in fact US banking regulations for our payment processing method currently require tenants to sign on paper. They need to fill out our renter enrollment form, place their ID on the paper in the box provided, and upload a picture of the form to renthelper.us/enroll. (Forms available for download there, as well.) If they cannot take a picture of the form, we can receive the form and a library photocopy of their license by US mail. If they will be temporarily without text message, we can manage that process with email. I’m evicting my tenant and want to refuse partial payments in order not to establish a new tenancy. No problem, we can refuse payments. Alternatively, we can send text messages with legally required wording (e.g., “for use and occupancy only”). Fun fact: In its first year, RentHelper avoided two evictions by moving tenants from monthly payments to pay schedules tied to their income for use and occupancy only. Mediated agreements were fulfilled and no eviction was necessary. Similar success with your tenants is not guaranteed. What if sometimes the tenant still pays with money order or cash? Not a problem, just let us know. If you collect the rent, your RentHelper fee for that unit that month is zero (of course), and we will include that payment in their credit history for free. If your tenant pays all rent owed within 30 days, it counts as “paid or paying as agreed.” If it’s later than that, we will report it as late. If a tenant has a dispute, they will first contact us. We may contact you for additional information. How does RentHelper compare to property management software like Buildium or Appfolio? Management software is jack-of-all trades, with payment systems that require renters to use a computer and to maintain enough cash reserves for auto-debit to work every month on the first. RentHelper was custom designed for text message control and flexibility. We’re particularly good with subsidized and down-market rentals, where renter relationships can be low-tech and high-touch. We can be a bridge between paper checks and management software you might choose to adopt in the future. We can also be an add-on service, since RentHelper’s daily reports can be imported into your management software. Contact us for details. 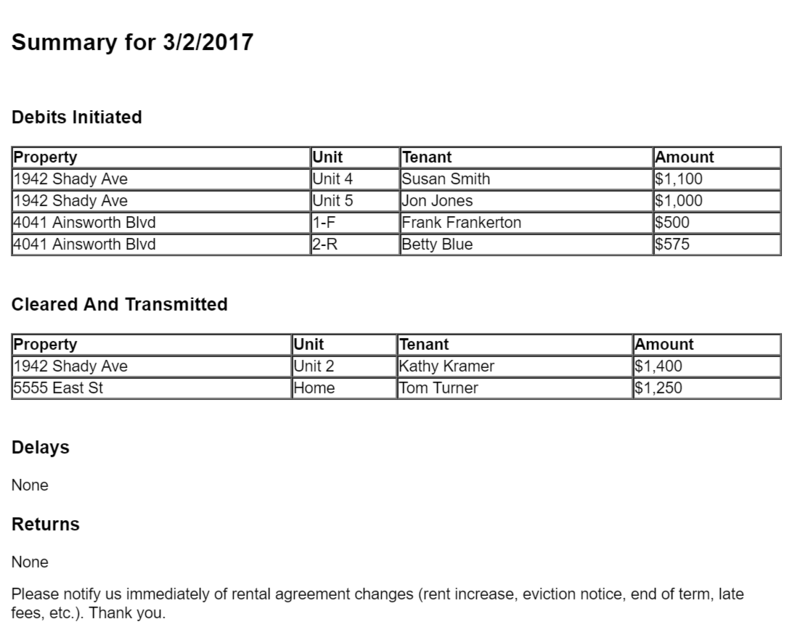 Can I use RentHelper if my tenants are just roommates? If the tenants agree on a rent split, they can each fill out a separate authorization for their share of the rent. If the tenants typically pay each other, and then one tenant issues a single check to you, we would recommend they decide on a consistent split and fill out a separate RentHelper enrollment each for their share. RentHelper does not replace the terms of a rental agreement. If you have a rental agreement that specifies roommates will have “joint and several liability,” you will still be able to enforce non-payment of one against all tenants. When in doubt, consult with an attorney. In which states does RentHelper work? Owners/managers must have a US address and must be collecting rent from a property located in the US (all states, districts, and territories). 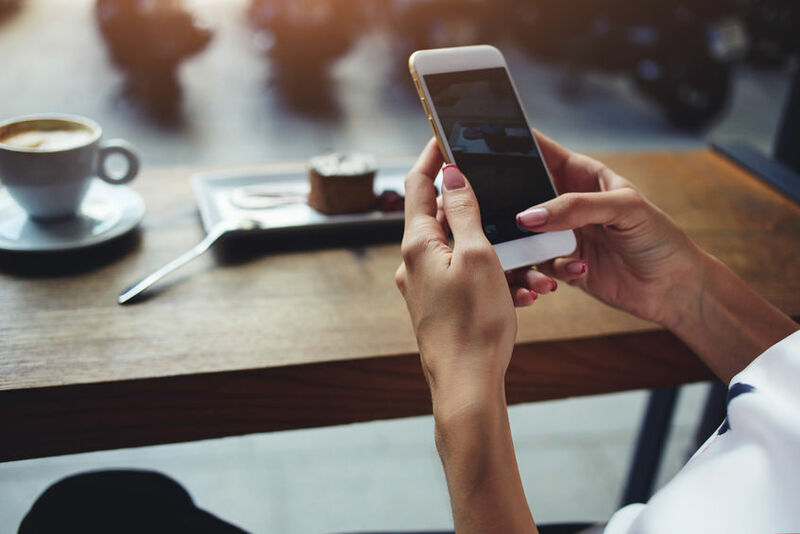 What if my renter doesn’t respond to your texts? The default is that we will debit their account. We're offering MassLandlords members your first tenant free for six months. Enter phone or email, and we'll make sure this offer is available to you when you're ready to start. Thank you! Confirm your email address, and we will send you information about how to get your first tenant free. First tenant must enroll by Summer 2019. Covers six months' worth of rent owed, prepayments excluded.